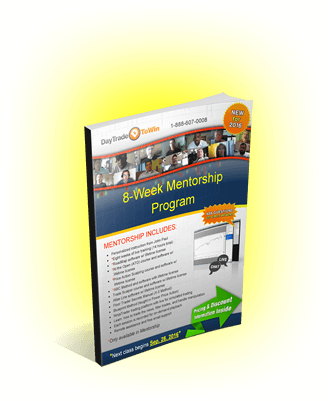 The Mentorship Program consists of eight weeks of live, online training with a pro trading coach. All courses and software are included at a special low price. Each strategy is explained live by an instructor who meets with you remotely, sharing his screen and the day's charts. Instruction goes far beyond what you've seen in our courses and other websites – you will learn the secrets to consistent success in eight weeks. This is not a "mass produced" program. To provide personalized attention, class size is intentionally kept small. We offer one-on-one training via Individual Mentorship. We also offer group classes via Group Mentorship. It takes time and effort to educate and prepare you for every market scenario. We want to invest our time and energy into students who take trading seriously. Whether you are a new trader or have years of experience, we will teach you the price action trading skills you need now and for life. We teach traders how to use price action. Price action trading is the ability to read price as it plots on charts and trade it based on patterns and values. You will learn how to trade objectively without guessing or emotions. Most of our methods are designed for E-mini S&P trading, but price action works across many futures and currencies. You've arrived at this page because you want to improve your trading. Let's make it happen! Each training session is recorded – play back lessons for review at any time! Free setup, video access, and email support is offered before and after the program. *Get instant access to first week's course material with deposit! Sign up and get the first week's course immediately! *Results can vary – no guarantee of specific results or performance. Trading is risky and hypothetical performance is not indicative of future results. Testimonials many not be indicative of every experience. At the Open (ATO 2) – The first week begins with the ATO 2 course and software. The ATO 2 method is provided to help you take advantage of the initial move or moves the market makes at the beginning of the session. The start of the market brings many opportunities. The At the Open 2 method teaches traders exactly what to do with specific entries and exits. In addition, traders learn the Chase the Trade technique, which often occurs during fast or volatile markets. Both the ATO 2 and Trade Chaser are taught. The ATO 2 software provides both signals. Price Action Scalping Method – During the second week, traders learn this unique scalping method using tick charts. Don't worry if you've never used tick charts, as the instructor explains everything you need to know about them and how to scalp the E-mini market. Software is also provided but not required. This method is a counter-trend method, which doesn't follow the trend, but instead teaches you first how to identify a trend in order to find the specific price point to counter it. Often times, traders enter late or after the move has begun. That's never a good idea. The premise behind this scalping method is to counter the trend using very specific rules that utilize price action and psychology that is inherent to the market's design. Blueprint – This method is the main strategy taught in the Power Price Action course. No special software is required because it’s pure price action. The Blueprint can be used on nearly any market and time frame. Put those moving averages and Japanese candlestick interpretations away – you won't find that here. You will learn exact entries and how to follow price as it leads you into a long or short opportunity. The clear and specific rules cover the Primary Line, Secondary Line, entries, stops, trends, false breakouts, overbought and oversold conditions, and more. If you don't like indicators and want to master price action, you'll love this method. The Trade Scalper – This scalping method is covered on week three. The Trade Scalper identifies market breakout patterns utilizing 1-min charts. This highly sought after scalping strategy can be used with futures, stocks, and other markets. Nothing is held back – you'll learn everything. We also include the Trade Scalper software for NinjaTrader that identifies the trades automatically. You will learn two setups as well as the precise rules to identify and manage each trade. Roadmap – Taught in the fourth week, this method is one of the most important you'll learn in the Mentorship training. No trader should ever jump into the market without understanding this strategy and how to take advantage of manipulation. All markets are manipulated, but if you understand how, where, and why of manipulation, you will have the upper hand. Why get continually run over by the big boys of trading? Instead, you'll be able to anticipate areas of manipulation in advance. You'll know where to stay away from as to not get swallowed up. This is as close to a crystal ball as you'll get in trading. It's hard to believe, but the Roadmap may make or break any trade. You also learn how to find and enter trades based on manipulation. We include software for NinjaTrader that visually outlines key levels. Join the select few who understand how to capitalize on manipulation and don't get caught trading without it again! Atlas Line® – On week five, you'll get your hands on the powerful Atlas Line® software. Every day, count on at least one Atlas Line® signal, which produces a buffer indicating long or short trades based on price action. Once price moves through the line, watch where the candles close to determine the entry (long or short). The Strength and Pullback signals provide additional opportunities if the market continues in a trend. You will learn the exact rules for placing your profit target and stop loss. The Atlas Line® is often coupled with our other strategies for additional confirmation on market direction. Remember, you receive a Lifetime License for the Atlas Line®, just like all of our other strategies. X-5 – Week six gives you access to the X-5 method. Once used as a secret weapon by floor traders to manipulate the markets, the pattern still exists and is used by professionals who have moved to the fast-paced world of electronic trading. Now is your chance to turn the tables and have manipulation work for you; not against you. Trading the News, Trailing Stops, ABC Method, and Review – On the seventh week, you'll begin the review process and learning how all the methods work together to form one cohesive plan. Do you know if the day will trend or not? When are the conditions suitable for using a trailing stop? How do you properly trail a stop without getting stopped out early? How do news events impact the market and how can you trade them? The big picture becomes clear this week and we make sure you understand everything taught thus far. Testing, Practice, and Review – Week eight is the final week. This is where it all comes together. You now have all the tools required for success. Let's add the final pieces to form one large system. Bring your observations and questions. Let's see what trades we can filter out and what trades we can take. Let's look at managing risk and trading objectively. Trading is not easy, but knowing what to expect when trading live is what Mentorship is all about. Let's make sure you can do it on your own so you can be a consistently successful, independent trader. What happens after the eight weeks? After graduating, you can email us at any time with your trading questions. Support and license updates are included with no additional fees of any kind. You can continue accessing the training videos whenever you want. Most day traders are self-taught, learning by trial and error and random reference material. Their approach to day trading education is as inconsistent as the trades they take. All too often, day traders find out about our private coaching program after markets have absorbed much of their finances. Before making these same mistakes, consider how Day Trade to Win's personalized coaching program can make a difference in your trading. Many of the trading methods we teach are based on techniques originally developed by pit traders who engaged the CME and NYSE to make a living. Through the Mentorship Program, we teach these price action techniques to our students with our own tweaks and additions with many years of experience. No one teaches the art of price action trading quite like us. Such an education is an investment; one that can pay for itself within a short period of time. Too many day trading systems, courses and indicators do not offer a well-rounded education. There are many products on the Internet that claim to be of quality. Day Trade to Win sets itself apart because of our experience teaching hundreds of day traders how to beat the odds by trading price action. When it comes to trading, there is no 100% accurate system – the market is inherently unpredictable. Price action is unlike any other perspective because it's entirely objective – you trade based on what you see and what the market can afford to give you. Price action, as we teach it, focuses on consistent accuracy – being able to interpret chart action on multiple markets. That means if the E-mini is rather slow, you can apply the same strategies to the Euro or other futures or currencies that have tradeable liquidity. With traders giving up after blowing out accounts within a few weeks, giving private training a go will make a difference on how you perform in terms of results, psychology and time management. John Paul frequently updates results for the Atlas Line® trading software and Power Price Action method on the results page. 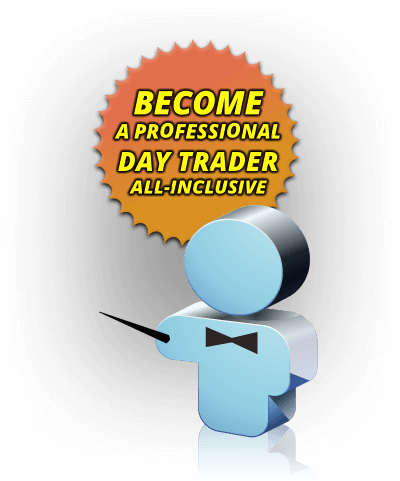 The results and individual availability of individual day trading courses substantiate quality. Remember that these are only two of 11 solid price action methods included with Mentorship. You are sure to find a strategy that will serve as your preferred style; whether it's scalping for constant action or getting a couple trades in before noon, as with the ATO method. 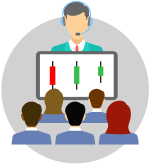 If you have ever heard one of our instructors speak at a conference or webinar, you've probably heard examples of how most traders think. We have an understanding of how the markets work, from manipulation at the top levels to automated high frequency systems at the middle level to casual traders at the lowest levels who use very predictable approaches. Understanding how to tackle hivemind thinking and volatility caused by news events is key. Such psychology and adaptation is a consistent theme throughout the coaching experience. We know that day trading can be a costly endeavor. One can consider trading after fully learning our strategies and putting in time to practice. We're available each step of the way while you learn to day trade using a simulated or live account. We share live NinjaTrader charts with students, discussing day-to-day market activity. Private coaching, however, is not a trading room. While the chart is shared, we focus on setup identification and order placement. We also look at how to properly configure charts to get the most from price action and the software included with the courses. Each Day Trade to Win course is included with Mentorship. Students learn to avoid common mistakes made by most traders, providing for an edge over the ill-informed retail trading public. At the end of training, students develop a mental flowchart of how to engage the markets on any given day. Mentorship training spans eight weeks, either offered on a one-on-one basis or a group basis at a reduced rate. Complete the form at the top of the page to see what works best in your case.